It’s no secret that Naturally Yours Events loves to incorporate rustic and vintage aspects into wedding decor. That’s why we love working with Nimble Well, an eclectic wedding rental company that specializes in providing unique tableware for weddings and special events. 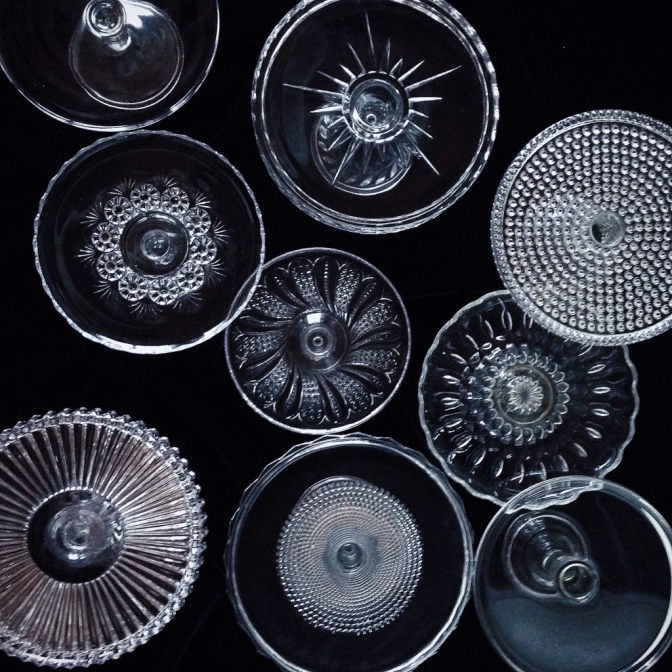 Who needs plain and boring dishes when you can create a distinct, vintage tablescape instead? To learn more about this awesome fellow Green Wedding Alliance member, read the Q&A between NYE and Kelly Connolly, the owner of Nimble Well, below. (All photos were taken by Kelly). NYE: Tell me about your business- what do you specialize in? 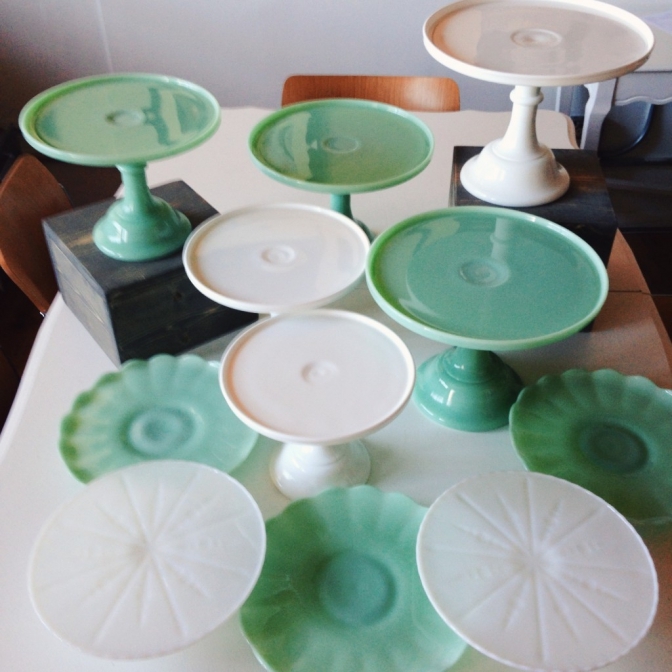 NW: Nimble Well is a specialty rental company that focuses on tabletop decor. The inventory is overwhelmingly vintage, but it’s constantly updated to stay current with my clients’ requests. 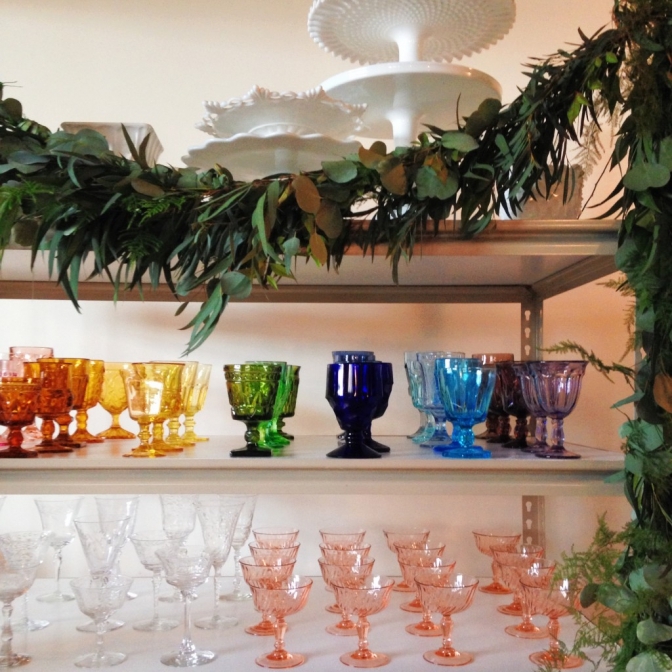 The largest collections are the cake stands (over 100) and glasses (over 700). NYE: How did you get started, what inspired you? NW: ​I got married in 2011- before Pinterest was a big part of wedding planning. 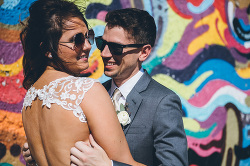 Wedding blogs and other creative outlets were sprouting, influencing how weddings looked and felt. I realized I didn’t want tulle, chair covers, plastic or glass aquarium rocks, or purple scroll-y stuff in my wedding because that wasn’t what I was into. It just didn’t make sense that it would be a part of my wedding. After going to a friend’s wedding in California, I found out that there were all kinds of niche event businesses that could help people create a unique aesthetic for weddings. I came back to Chicago and found that the niche rental businesses hadn’t popped up here yet, so I started my own collection. 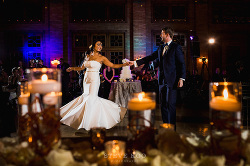 Soon after, I found that Chicago has a whole world of people getting married who want their wedding to be a better representation of who they are, what their home is like, how they spend their time, and what they like to do for fun. The local wedding industry wasn’t offering them much- at least not in rentals. So, Nimble Well aims to fill this gap by helping couples rent things that they love and think are cool and beautiful- things that will make their guests feel special, and when the day is finally over, will contribute to the everlasting beauty of their wedding photos. NYE: What’s your favorite thing about working in the wedding industry? NW: ​It’s great to work with happy people. It’s the best part that I didn’t discover until after I started Nimble Well. Clients and other wedding vendors are generally just really happy. There are lots of great, worthy and necessary jobs that involve working with unhappy people, so I feel lucky to work in such a joyful environment. When clients come to my studio, they’re excited about their wedding and about what I have to offer. I get to be a part of all the good stuff at a really fun point in their life. And I get hugs. I really didn’t expect that. Not at all. NYE: How far in advance should clients book your services? ​NW: It’s simply based on availability. Clients generally book 2-8 months in advance. For large orders, I recommend the earlier end of that window, but I have accommodated orders the day before events. The widest selection is available the earlier you book, but I have a lot to choose from even if a clients first choice is already rented. NYE: What is one piece of advice you think all couples would benefit from knowing? NW: ​A very important thing to keep in mind when planning your wedding is that you’re going to need to make many, many decisions and compromises- with each other, with your families and friends- based on budget, time, feasibility, and countless other reasons. But please, do not compromise on the heart of the wedding: your ceremony and commitment to each other. Don’t compromise on how you want to do that, or how you want that to feel. All the other things are just gravy (which I hope is the most delicious gravy). But the heart of your wedding is the ceremony and the public declaration of your marriage- everything else is the celebration of it. Keeping that in mind might help give a little levity to the gajillions of decisions necessary along the way. Also, asking for help is not weakness- it’s sanity. NYE: How can clients connect with you?